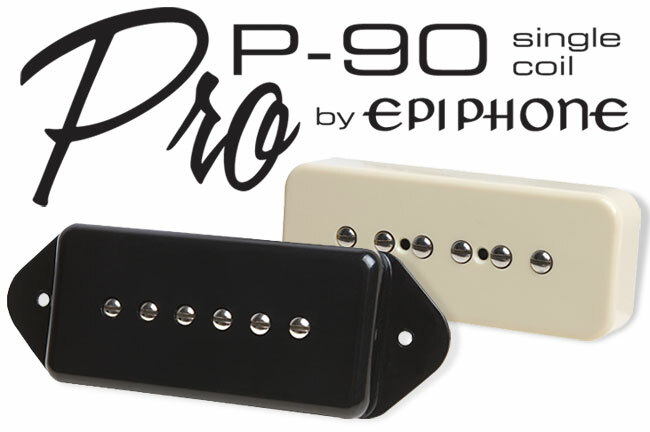 Epiphone's new P-90 PRO™ single coil pickup follows in the footsteps of Epiphone's critically acclaimed custom designed ProBucker™ humbuckers and are created with the same attention to detail, employing many of the key features of the original P-90 design by famed Gibson pickup pioneer Seth Lover. And like the Epiphone ProBucker, the new P-90 PRO is a stunning recreation of Lover's pioneering classic that revolutionized the sound of popular music. The original P-90 pickup was handwound by Seth Lover at the Gibson factory in Kalamazoo, Michigan in the late 40s, and was inspired by the now legendary (and super rare) "Charlie Christian" pickup, named in honor of the revolutionary electric guitarist from Oklahoma who plugged in with the Benny Goodman group in the late 30s and overnight transformed the guitar from a rhythm instrument to a solo instrument. 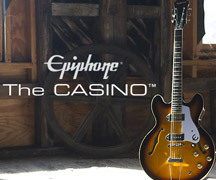 When Epiphone joined Gibson in the late 50s, Epiphone's new range of "thinline" archtop models like the classic Casino and the Century—now available as the Inspired by "1966" Century—were also powered by P-90 pickups. The Epiphone P-90 PRO is an extremely sensitive pickup that can easily bend to a player's unique touch. Played lightly, P-90 pickups sound full, clean, and sparkly. Driven harder, they give off a distinctive growl and can distort with a voice-like quality that guitarists can "play" and define at will. Because of this versatility, P-90s have found a home in rock, pop, jazz, and country, and over the decades have been a favorite of classic artists like The Beatles, Les Paul, and Keith Richards along with today's top concert draws like Gary Clark Jr., U2's The Edge, Thom Yorke of Radiohead, Paul Weller, and James Bay. To create a new version of the P-90 pickup that could match the tone of the original sought-after P-90s, Richard Akers, Epiphone's Director of Research and Development, once again followed the same design principles used to create the ProBucker™ which brought to life the subtle tones of the rare "PAF"-style humbuckers found in now-priceless late 50s Les Paul Standards. 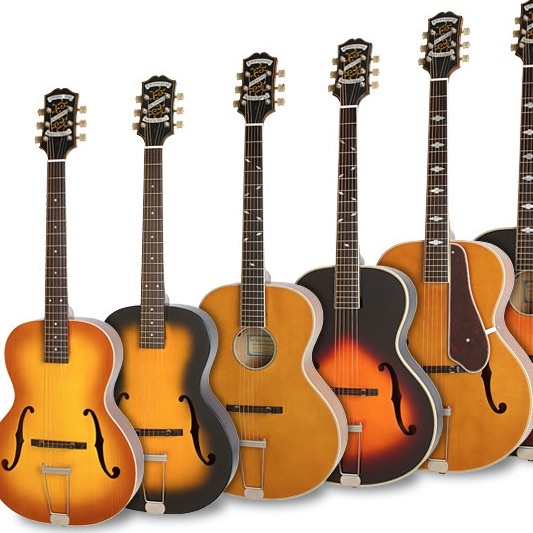 When Akers' first introduced the new ProBuckers during Epiphone's 140th birthday celebration in Nashville, their incredible tone fooled some of the most prestigious (and picky) guitar experts in the country. In fact, many of them asked us not to reveal who they worked for after realizing they had chosen Epiphone ProBucker pickups over their own. "Just like a good chef uses science and art to create unique dishes, a good pickup designer is able to use ingredients in unique ways to create sound," said Akers. "All the ingredients are available to anyone willing to look but you have to know how to combine them and what is important. Knowing the ingredients in a fine family recipe and how they combine is very similar to how I went about producing these pickups that are synonymous with what our ears have evolved to know as the sound of Rock and Roll." The P-90 pickup not only powered the earliest Les Pauls, but were also the engine behind the Epiphone Century archtop and the legendary Epiphone Casino, which has hardly ceased production since its debut in 1961. In the 60s, the Casino was heard on an incredible variety of hits including the Kinks "You Really Got Me" and virtually every Beatle recording made from 1966-1969 including "Sgt. Pepper's Lonely Hearts Club Band," "Revolution," and "Get Back." 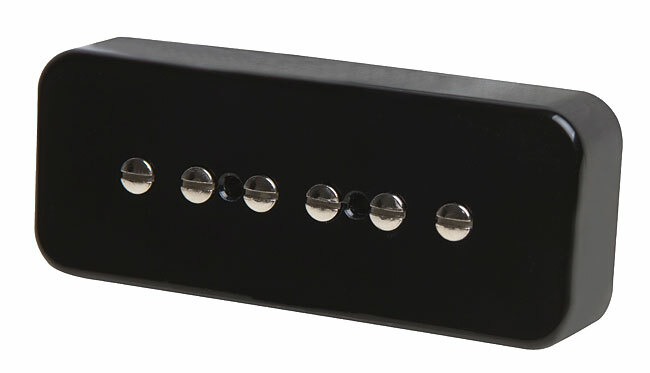 The new Epiphone P-90 PRO single coil pickup is made with 18% Nickel Silver covers and has been designed and tooled from the ground up with new bobbins manufactured to historic dimensions, Elektrisola magnet wire, sand cast Alnico V magnets, and pole shoes manufactured using correct alloys and to Gibson's original dimensions. And for you sticklers to detail, the new Epiphone P-90 PRO™ pickups also have tin plated brass base plates like used on 50's and 60's era Gibson P-90 pickups. For a new twist on the classic 60s era P-90 sound, check out the new Inspired by "1966" Century electric guitar, a faithful reissue of the hard-to-find hollowbody archtop available in both a Cherry and Vintage Sunburst Aged Gloss Finish. As each new generation re-shapes Rock and Roll in their own image, the P-90 pickup inevitably becomes the preferred tool to make bold new sounds, just as it did when it first appeared nearly 70 years ago. "What we perceive today to be a great sounding pickup is partially great because that is the sound we grew up hearing as the definitive sound of Rock and Roll. It's what our ears want to hear," said Akers. "There is also a lot of truth to the fact that through some very intelligent engineering and also some just plain old luck, Seth Lover and Gibson created fantastic sounding pickups that worked extremely well in the guitars they were producing at the time. Our modern manufacturing procedures certainly give us a higher degree of consistency but it's hard to top the sound produced by the best examples of the golden era."